Just prior to Easter, the Lord spoke so sweetly to my heart over Psalm 23:1. My mom gave me an oil painting that quoted the scripture, “The LORD is my Shepherd; I shall not want.” Those four last words stuck out at me: I.Shall.Not.Want. 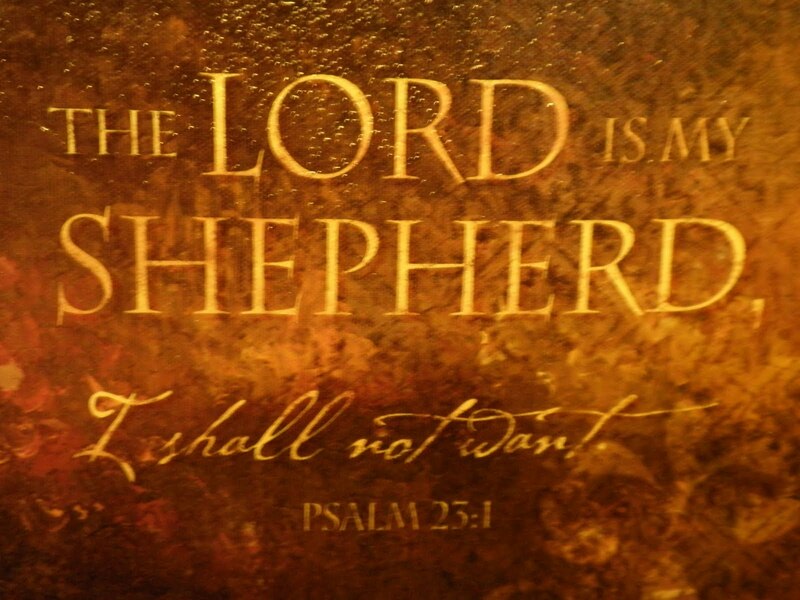 But in order to “not want” the LORD has to be our Shepherd. Those four little words kept ringing in my ears. Easter morning started out so sweet. 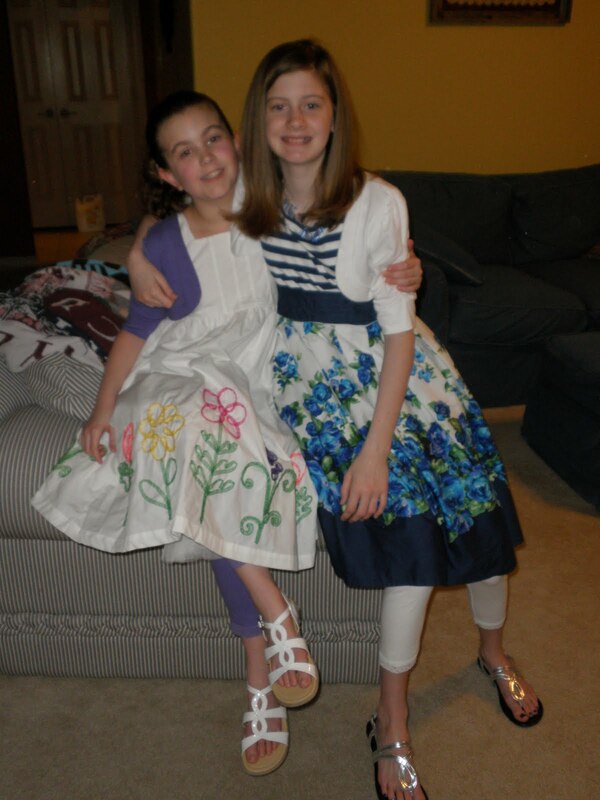 The girls looked so pretty in their new dresses. We drove to our favorite donut shop to discover they were closed that morning. I’m glad they were closed … they were celebrating Easter. But we all missed their donuts! So we detoured to Whataburger for a quick bite. We arrived at church early. I toted in my 30 cupcakes for my Sunday school class. Our first 5th grade girl came up to me and said that she wouldn’t be able to stay for class. I asked her if she’d like to take a cupcake with her. Of course, she did. As soon as she started walking away, the cupcake slipped out of her hand and landed on the floor. But the icing was still firm enough that it remained in tact; she picked it up and walked out happily. Five second rule applied. I.Shall.Not.Want. ringing loudly. I tell you, I felt pretty needy at the moment. Immediately several girls said, “It’s okay; I don’t want one.” Their hearts are bigger than you could imagine; I love this group of girls. This is my second year of working with them; but they had my heart on Day 1. One girl (little angel) helped me pick them all up; another little angel said, “It’s okay Ms. Shelli; we all make mistakes.” And my co-teacher handed out the remaining cupcakes to the girls who did want one. Then the teacher from next door walked in with her group of girls to deliver Easter packages full of candy to our girls. I was not feeling needy any more, a little embarrassed, but not needy. I was not in want. The Lord had surely covered me. Thankfully, I wasn’t covered by icing! Because of Him, “I shall not want.” And I plan to take a package of icing-free cookies to Sunday school this coming weekend so those girls shall not want! I certainly owe them. Following Jesus … doesn’t mean that hardships won’t come. Oh, they will. We all need teachable moments. And we can’t stay the way we are or we’d never achieve the goal of becoming more like Jesus. We have to go through change, and usually hardships/trials are the way change is accomplished in our lives. My husband always teasingly says that I like things “sugar-coated.” It’s true … guilty as charged! But with God, even our hardships/ our disasters can be good/ used for good when we are following after Him … He “is” the sugar-coating to all our problems. You guys look so different!!! Karalee is probably 13 now; I am 14. Katelyn is probably 10ish. Ellie is almost 11. Miss you guys. Hi, Emma Armstrong!! How are you, precious thing?!! We miss you all so much. Yes, Karalee will be 13 this Saturday! And Katelyn turned 11 back in March. You girls are growing way too fast, and I keep begging for a slow down. It's not happening. Give our love to your parents and give that Ellie a hug from us, too! We love you.